We thought you hated intrusive paparazzi? 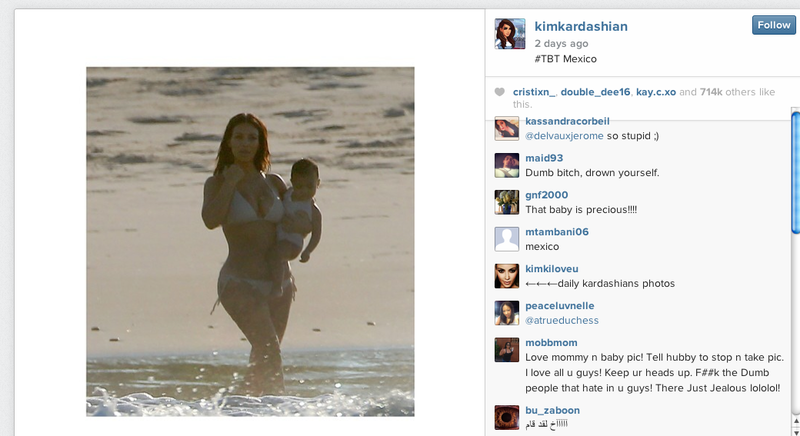 This bikini pic photo with baby North was taken from a boat by a pap shooting into the sun, and guess what, the sun won. One of the crappiest pics ever, and not a set up since it doesn't say 'Splash' on credit. But if the rogue agencies that take her pic are so intrusive, why post (STEAL) them on your instagram?